The Seven Foot Bookcase has four shelves at fixed heights and one bottom shelf. To enhance the look, the design includes decorative face and base moldings and the back is tongue-in-groove. The book shelves are at fixed graduated heights to accommodate small to large books and collectibles. 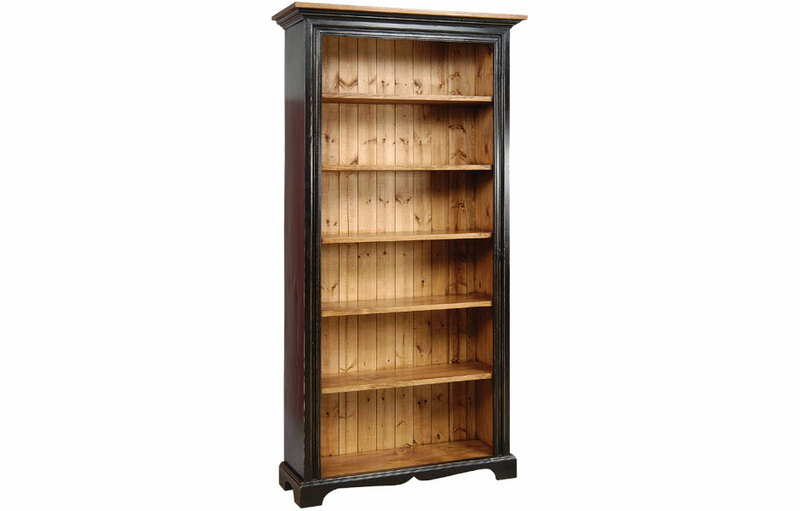 It's a perfect as a cottage bookcase, for home office shelving, or as an open storage unit. The Seven Foot Bookcase offers stylish, open storage. Today, bookcases are for more than books—they display collections, showcase art pieces, and provide organization with baskets. 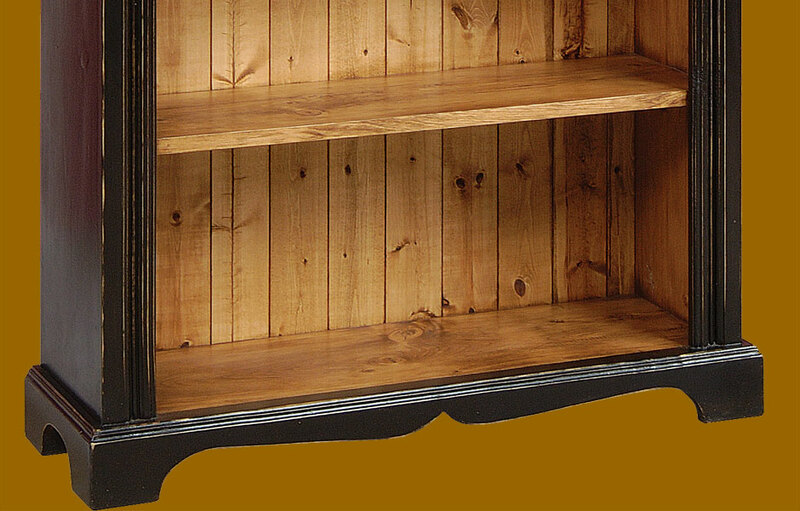 The country bookshelf is a perfect tall open storage for a hallway, kitchen, living room, or home office. The seven foot bookcase offers a wide 38" width to display all your collectibles creates a focal-point in the room. The tall open storage is great for a home office or library. It's 12" depth makes it a great addition to any small space looking for big 7ft. storage. The Chateau Tall Bookcase also works well in rooms with high ceilings. The tall 82" high bookcase has shelves are set at graduated heights from large (lower) to smaller (upper) to accommodate small novels to large art books. The tall bookshelf is made of solid wood, including the 5/8" tongue and groove backing. The bookcase has generous crown molding, and side moldings. The base molding has a scalloped design for a country French style. 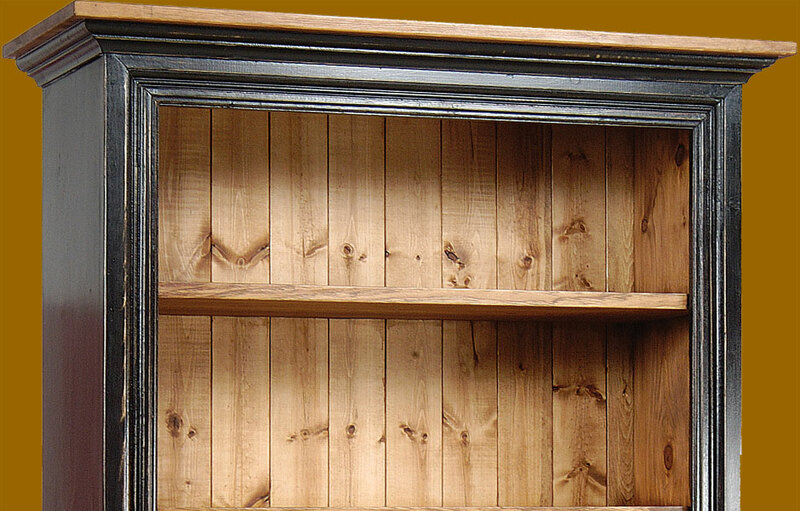 The wood bookcase can be painted and/or stained in a finish of your choice. This Chateau Tall 7ft Bookcase complements French Country, English Cottage, Farmhouse, Rustic, Transitional and Traditional style decors. Shelf heights (bottom to top): 13.75", 12", 11.25", 11.25", 11.25", 10.5"